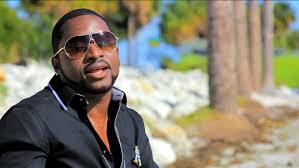 There are reports that pop singer Olu Maintain is broke. According to a report, Olu Maintain’s landlord had asked him to evacuate his house because of his failure to pay his rent. So bad is the singer’s situation, that he is said to have been given a quit notice by his landlord for failure to pay his house rent. Olu Maintain lives on Akin Osiyemi street,Off Allen Avenue Ikeja, Lagos. It is said that Olu Maintain would have been kicked out of his home by uniformed men if not for the timely intervention of a good neighbour. The story did not pinpoint the exact reason why Olu Maintain who had the biggest song ‘Yahooze‘ in 2007 can no longer pay his bills. It is known that after the success of his debut solo album, Olu Maintain abandoned the people who made him a success including his producer Puffy Tee, and Fuji-Pop artiste LKT who co-wrote Yahooze. Hope its not true though. Maga no dey pay anymore. Too bad, wat happened to all his money???? he did not buy his own house..
Too bad. Invest wisely next time.